In terms of location – and house prices - it's hard to beat the neighbourhood around 359 Fulham Road. 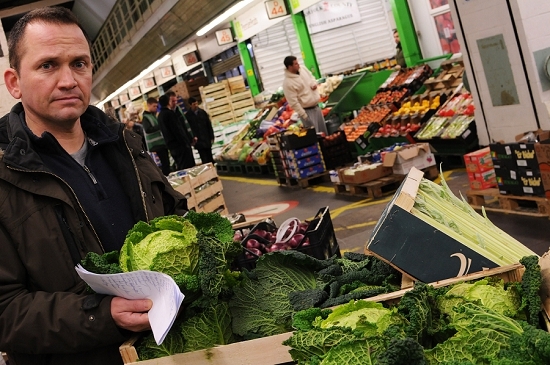 This is the home of Le Pascalou, an established grocers with a difference – as well as plenty of Gallic flair. Outside the shop, customers load their baskets in the shop's take on a French covered market: long tables groaning with produce; a fishmonger to one side, the day's catch sparkling on crushed ice. Inside, fridges and shelves bear treats such as wild boar terrine, Toulouse sausage, goats' cheeses and fine wines from Bordeaux. 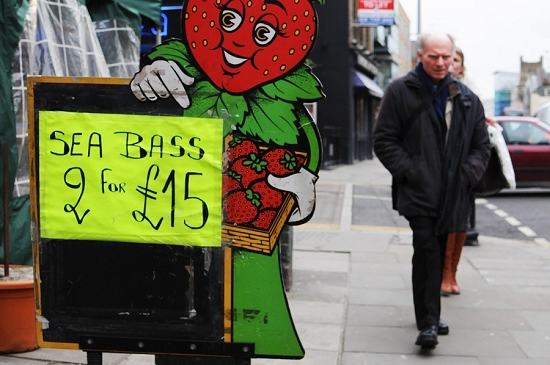 "You can smell the strawberries on the other side of Fulham Road," claims shop manager Vincent Saladin. "They are Gariguette, the very best." 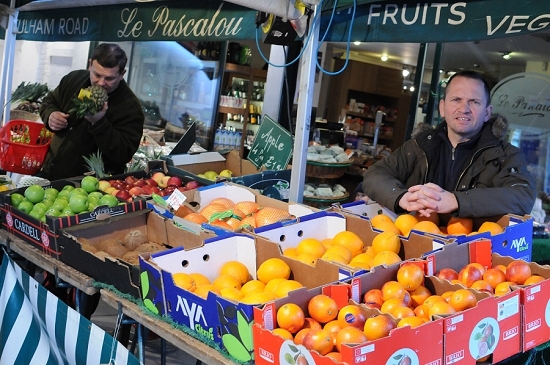 This focus on quality and specialist produce is deliberate – an attempt to distinguish Le Pascalou from competitors such as Tesco and Sainsbury's nearby. "We want to be different," explains Vincent. 90% of his customers are local residents, including private chefs from some of the houses nearby. "They just want quality – they hardly speak about money," says Vincent. 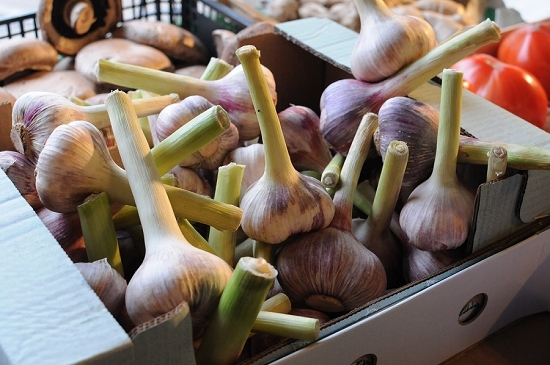 Le Pascalou invest a lot of energy on display – their produce is a feast for the eyes. 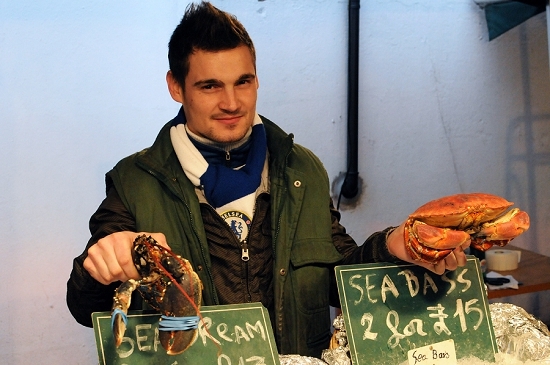 He buys from New Covent Garden most mornings, arriving around 6am. "We find the things that taste the best," he says. Vincent uses a range of wholesalers including Gilgrove, Worldwide Exotics, P & I Fruits, The French Garden and The Mushroom Man. What advice would he give to people new to buying on the market? "The best you can do is to be humble. You will be working with people who have been there for 40 years. Don’t show off – just listen. They're not there to rip you off – they want to do business."